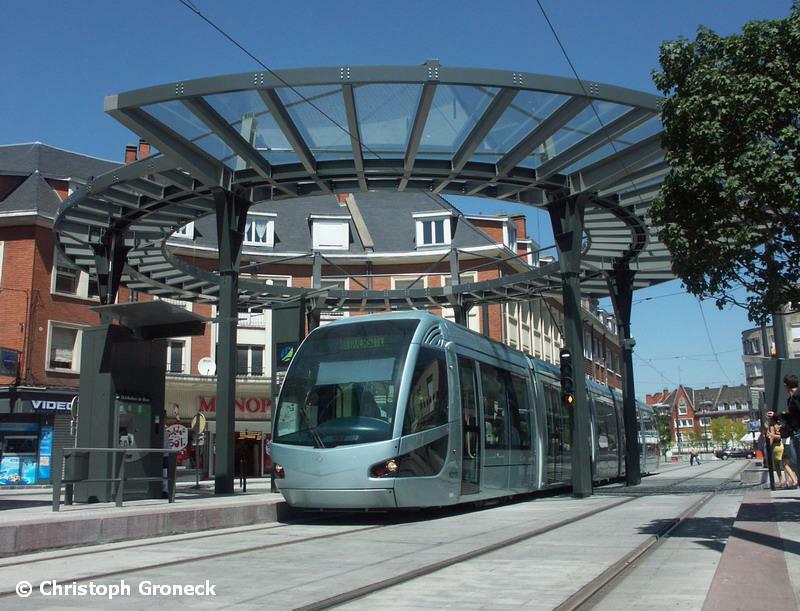 The tramway of Valenciennes is a real interurban system, probably the best example for a trend of second generation interurban tramway lines now built or planned in many other French cities. It could get this role because of the polycentric structure of the conurbation of Valenciennes, with only some 45,000 inhabitants in the main locality, but 400,000 in the urban region. Approximately half of line T1 uses the alignment of an ancient railway line. Please click here to visit the Valenciennes Photo Gallery!